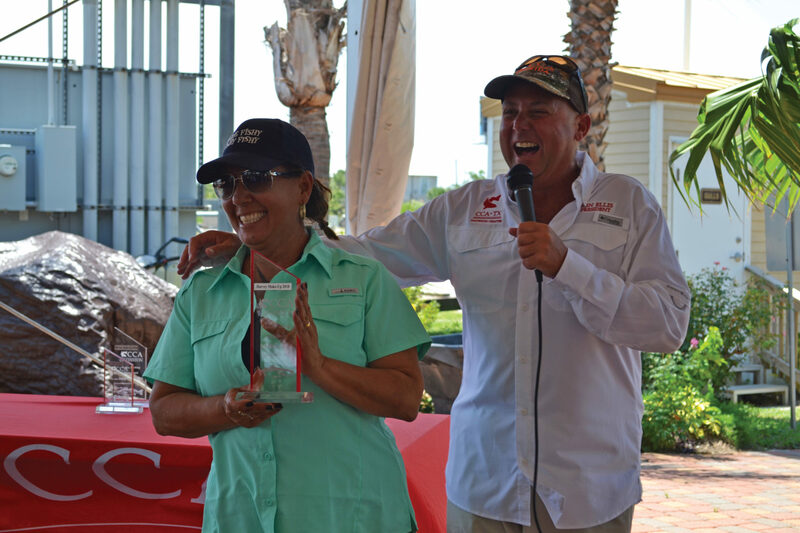 On June 23, CCA Galveston put on their 3rd Annual Ladies Fishing Tournament. 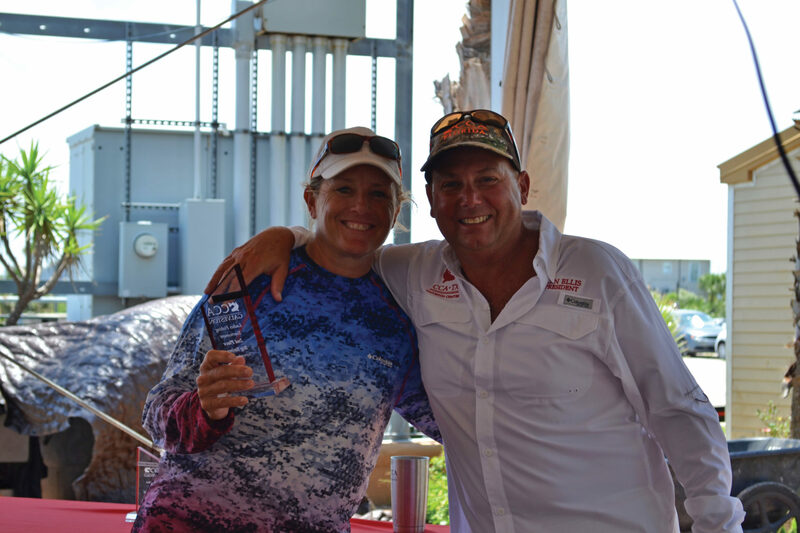 The captain’s meeting and weigh-in was held at the beautiful Pelican Rest Marina on Offatts Bayou in Galveston. 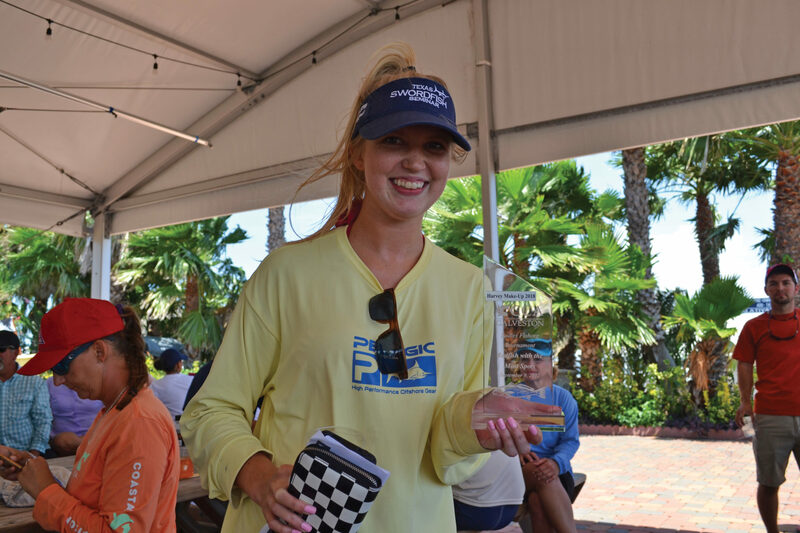 The wind was blowing about 20 mph for the tournament which made fishing tough, but all the ladies still had a great time and some managed to bring nice fish to the weigh-in. 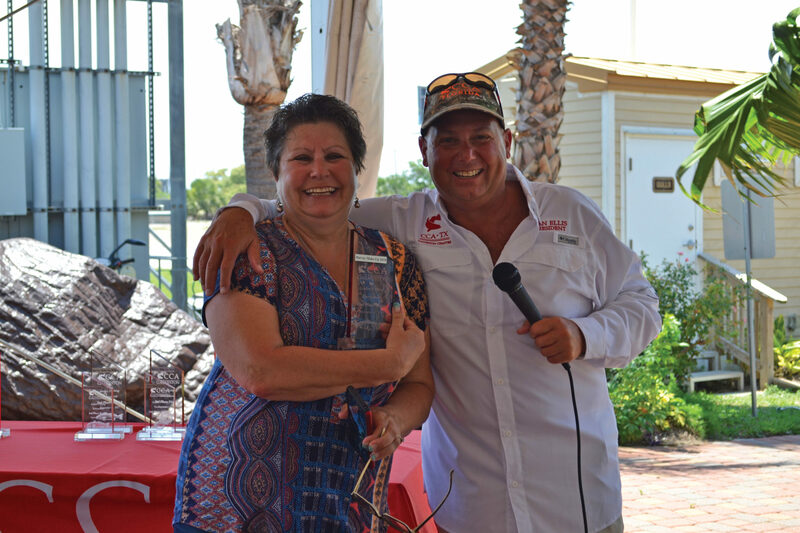 Besides the standard weigh-in categories such as Heaviest Trout and Redfish, there was Redfish With the Most Spots, Blackjack Trout (trout closest to 21”, but not over), and Heaviest Trash Fish. 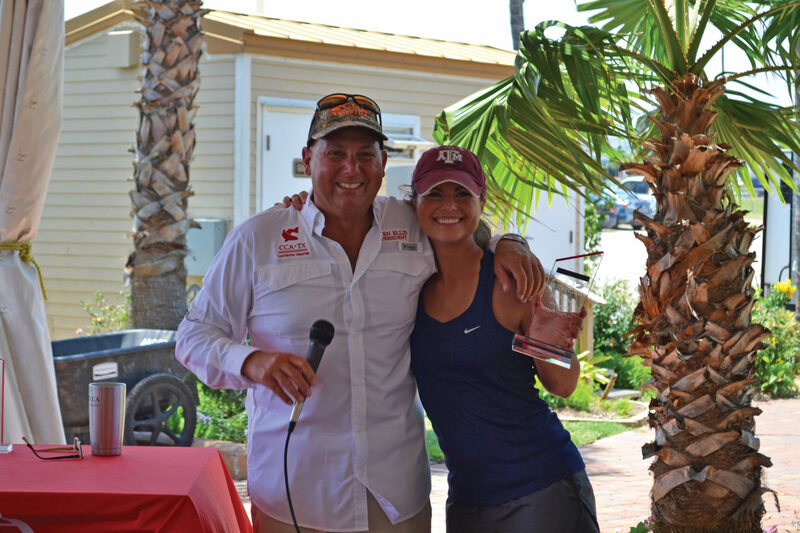 The trophies were unique since they were supposed to be used for last year’s tournament which was cancelled due to Hurricane Harvey. Each trophy had a “Harvey Make-Up 2018” tag on it. 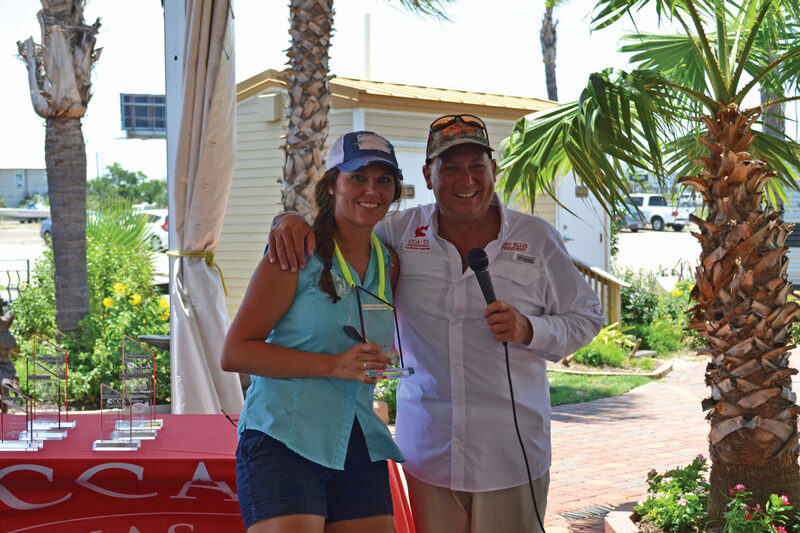 CCA Galveston also had some great raffle items including fishing rods from Waterloo, reels from Concept 13 and Shimano, Engel and Game Guard coolers, Foreverlast wading gear, and more. 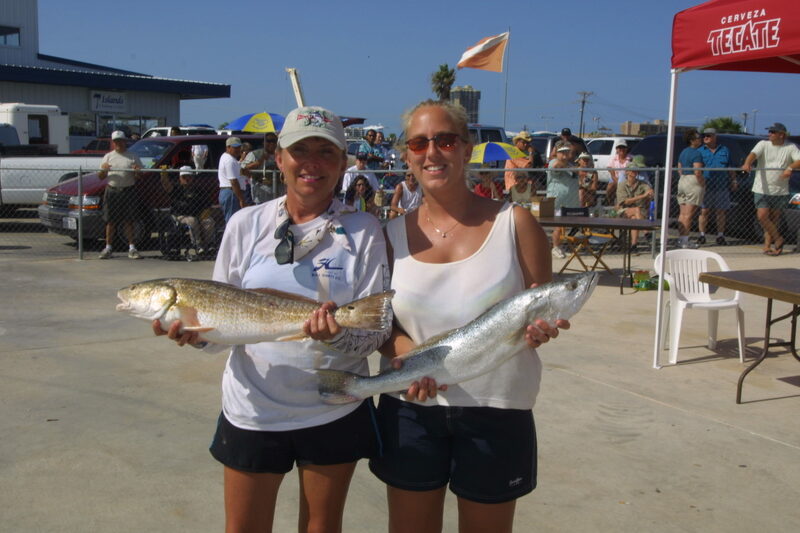 This tournament is not only a fun time, it raises money for the Coastal Conservation Association Galveston Chapter to allow them to continue to conserve, promote and enhance the present and future availability of our coastal resources for the benefit and enjoyment of the general public. 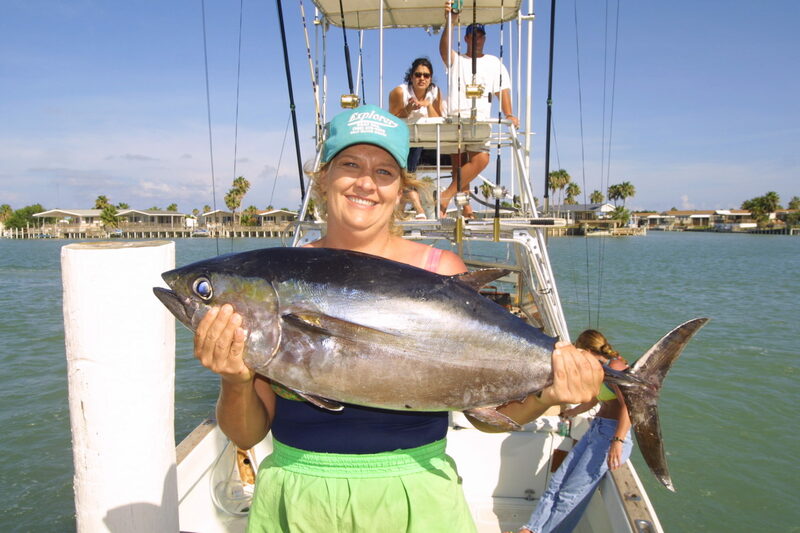 Next year, fishing starts as soon as the captain’s meeting ends, which many anglers are excited about! 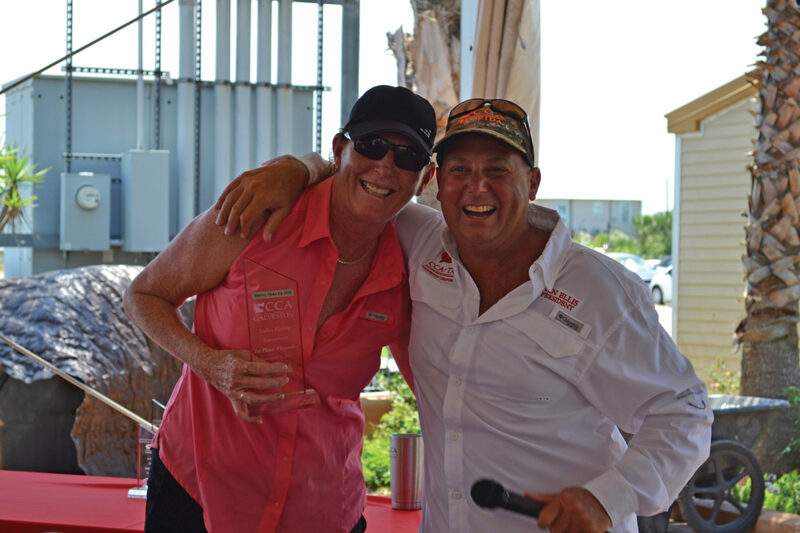 Thanks again to CCA Galveston President Dr. Ken Ellis, Treasurer Karen LaRue and all the nice folks who worked hard to put this tournament together. Can’t wait to participate next year! 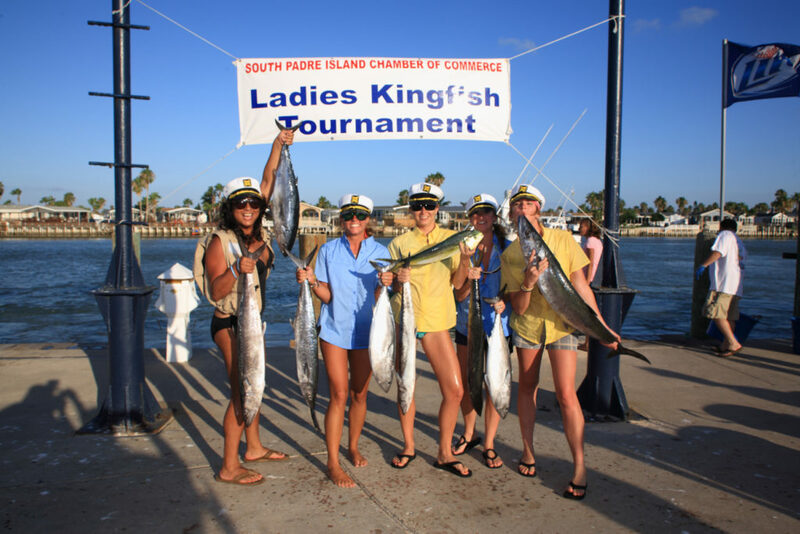 The 37th Annual South Padre Island Chamber of Commerce Ladies Kingfish Tournament will be held on August 10-12, 2018. 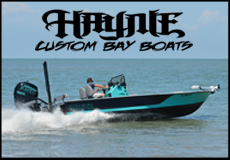 The tournament is divided into two divisions, Bay and Offshore. 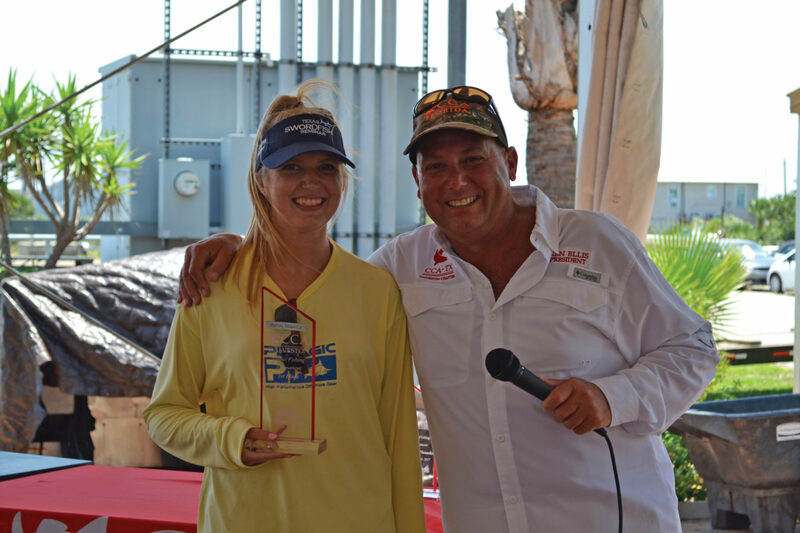 Anglers fishing in the Bay Division will vie for trophies in the categories of Redfish, Trout and Flounder, while anglers in the Offshore Division complete in the categories of King, Bonito, Blackfin Tuna and Dolphin. Trophies will be awarded to the first four places in each category and Grand Champion Bay and Grand Champion Offshore winners will also receive trophies. Trophies will be original unique artwork from famed artist Dinah Bowman. NOTE: To qualify for Grand Champion an angler must bring in one of each fish listed in the category they are fishing in. In the event all qualifying fish are not brought in the division, the next highest number brought in will qualify. The tournament kicks off Friday, August 10 with check-in and on-site registration from 4:00 p.m. to 7:00 p.m. at the SPI Convention Centre. 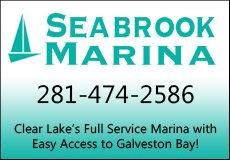 On Saturday, fishing begins at 6:30 a.m. Sea Ranch Marina II at SouthPoint is where all the action will be with Bay division weigh-in from 2:00 p.m. to 4:00 p.m. and Offshore weigh-in from 4:00 p.m. to 7:00 p.m. Sea Ranch Marina II at SouthPoint provides a large viewing and parking area for family and friends, and anyone else that would like to see who brings in the biggest fish. 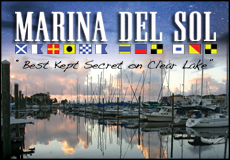 The Sunday Awards Luncheon will be held at SPI Convention Centre beginning at 11:00 a.m. All participants are invited to attend. Early registration fees are $95.00 per angler. The registration fee includes an event bag and lunch at the Sunday awards ceremony. 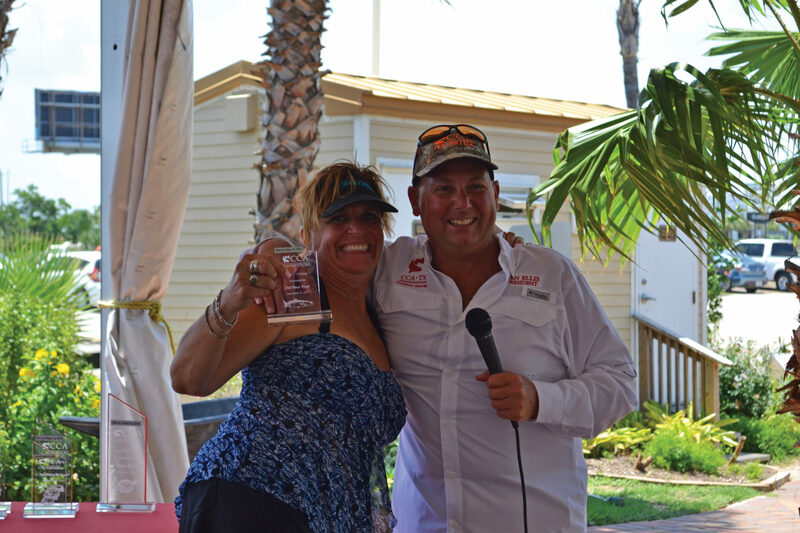 The early registration fee for Captains/Boat Operators, Deckhands and Guests is $25.00 and includes lunch at the awards ceremony on Sunday. 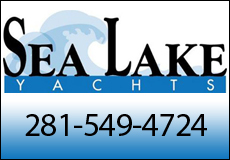 Registration fees increase to $100.00 for anglers and $30.00 for Captains/Boat Operators, Deckhands and Guests after July 13. 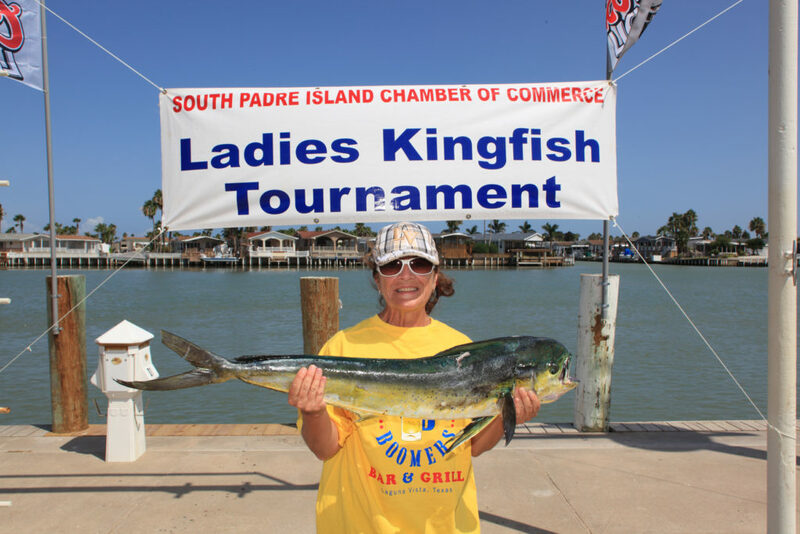 All anglers and their Captain/Boat Operators, Deckhands and Guests must be paid registrants of the tournament and have completed release forms on file with the SPI Chamber of Commerce. Tickets may also be purchased at the door for Sunday Lunch for $25.00 per person. Food will be available only with a ticket. 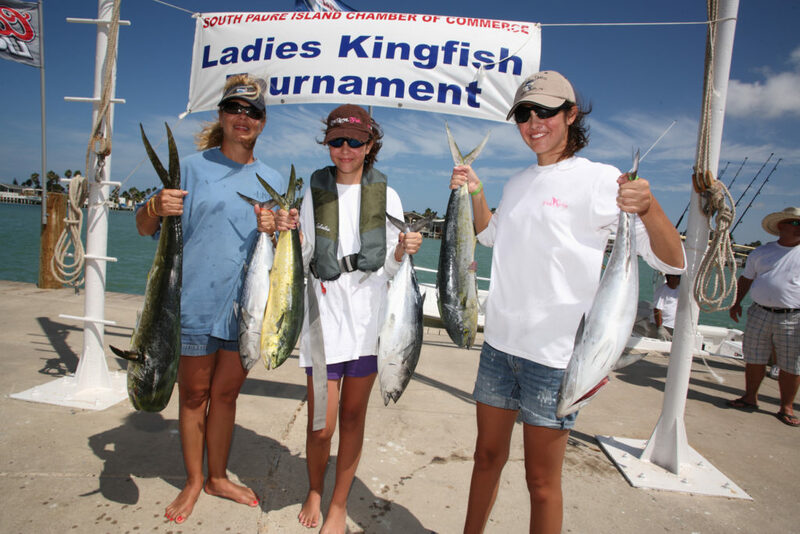 Join us for the 37th Anniversary Ladies Kingfish Tournament and start your own Island tradition.